Christmas took us away this year, to a cabin in the mountains of North Carolina. Our first Christmas all together in the States. The drive was beautiful. Appalachian mountains. Lakes. Quaint, quiet towns. Ray had never experienced this Americana before. Our road trips together have only ever been through deserts on the other side of the world. Long stretches of highway always inspire our deepest conversations. “What’s your word for the new year?” he asked. A habit between us—as a new year begins, we choose a word that we hope will describe what is to come. 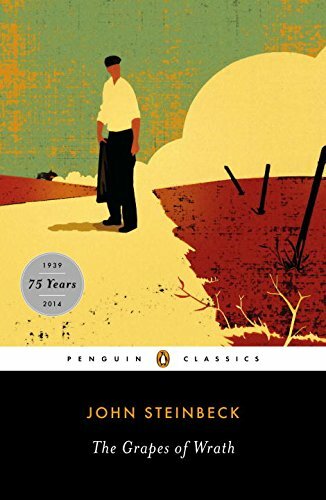 A few months ago I read The Grapes of Wrath for the first time. If you’ve ever read this incredible story, you’re familiar with its themes of poverty, labor rights, and inequality. (If you haven’t read the story, I highly recommend it, but you can click here for a quick synopsis). But what struck me the most about this story was the generosity of the characters, the Joad family. They have next to nothing, often not even enough to eat, yet there is always someone who has less, and so they give. A bite of food, a blanket, a place under their tent. To the terribly bitter end, they never cease to give. As any great story does, this one wounded me. Through it I saw my own faults. A clenched fist can neither give nor receive. Neither Ray nor I grew up with money. Our needs were met but extras were unpredictable and rare. Maybe it’s due to that or maybe it’s just human nature, but as we drove we both admitted our fear of giving. It brings up unspoken What Ifs. What if I don’t have enough? What if I run out and my own needs are not provided for? What if I risk too much? The Joads had no such fear in their giving. They gave without reserve. Unlike them, we want to give from within the boundaries of safety. It’s easy to think, “When I get more, I’ll give more.” Essentially, “When I have enough for me and mine, then I’ll give.” But when is that? And how much is enough? The conclusion Ray and I came to is that the fear of lack causes us to live with clenched fists, holding on tightly in order to keep what we think we’ve earned. But a clenched fist can neither give nor receive. Ray and I pondered this on the long highway. As I said, we didn’t grow up with money, but that is not reflected in our life experiences. We went to private schools. We graduated college with almost no debt. We’ve traveled all over the world. We’ve met celebrities and royalty. A lifestyle far surpassing what we could afford, dependent on the generosity of others. Why us? What did we do to deserve such privilege? This is what we thought of as we drove and we were humbled. A wise person once told me to hold life with an open hand. Blessings are not earned but are gifts. That which is freely received should be freely given. As we move into this new year, this unknown, I am speaking into the future. I will give from what I have been freely given, without fear. Not later, not when I have the elusive enough. Now.